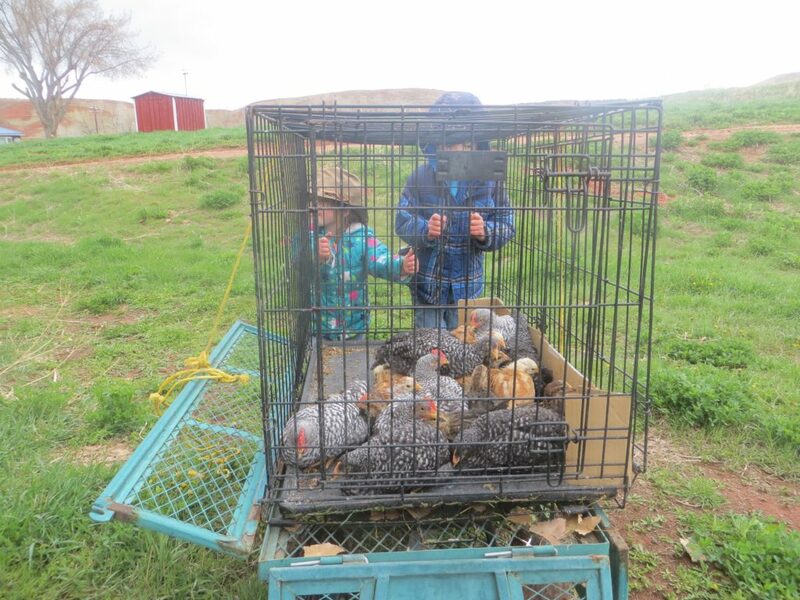 It was time to move the chicks… they’ve outgrown their little pen in the wood shed! 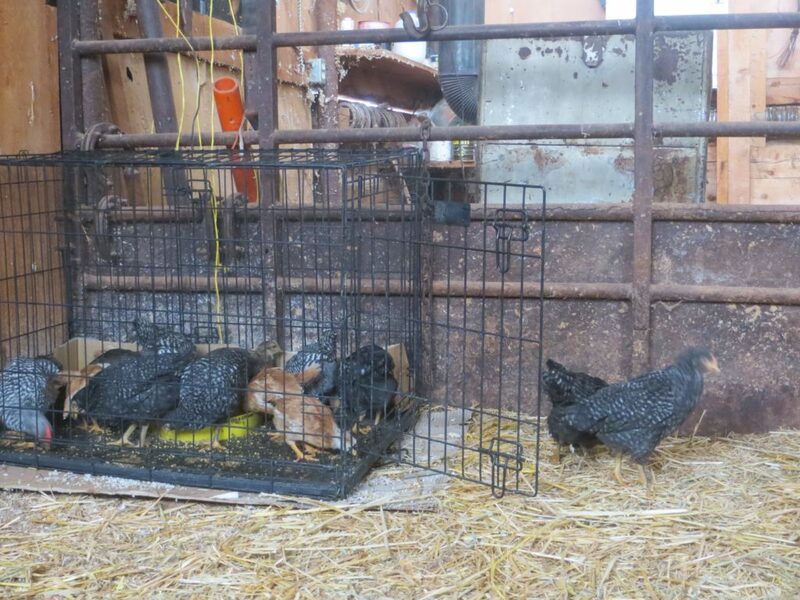 Since I also still have my older chickens, I moved the young ones out to the milking shed, and avoided any conflict between the two ages. Aren’t the Barred Rocks BIG? Lots of room in here… come on out, girls! Those chicks have gotten so big.. Seeing the kids with them is adorable. 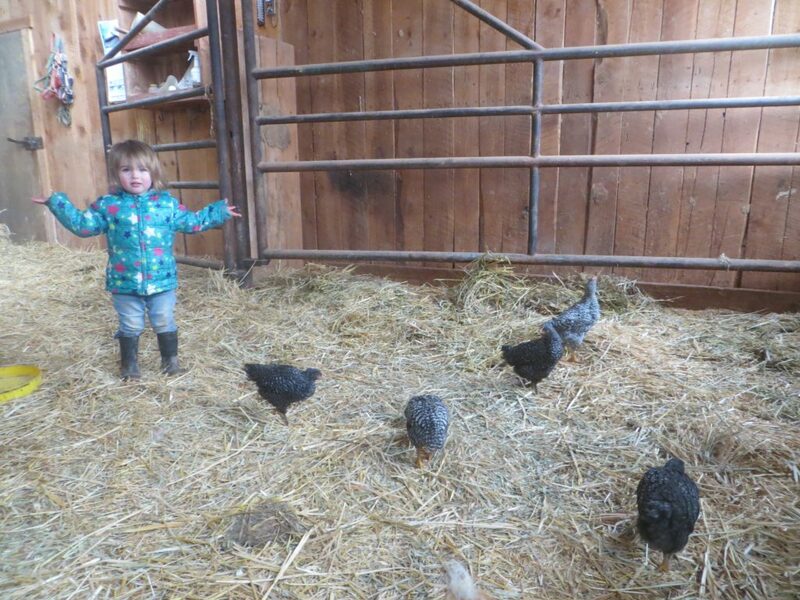 Those chicks have really grown. They had a fun ride today to a nice new home. 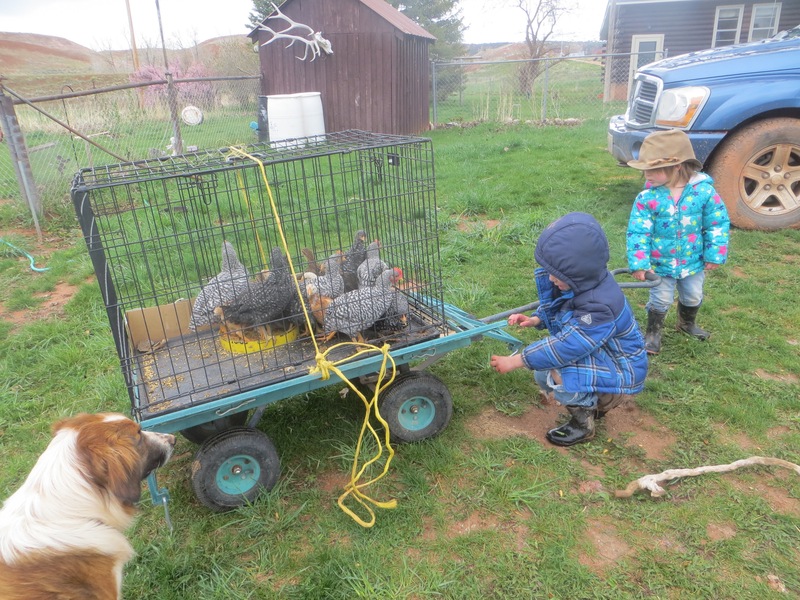 Nice to have those little helpers along the way. 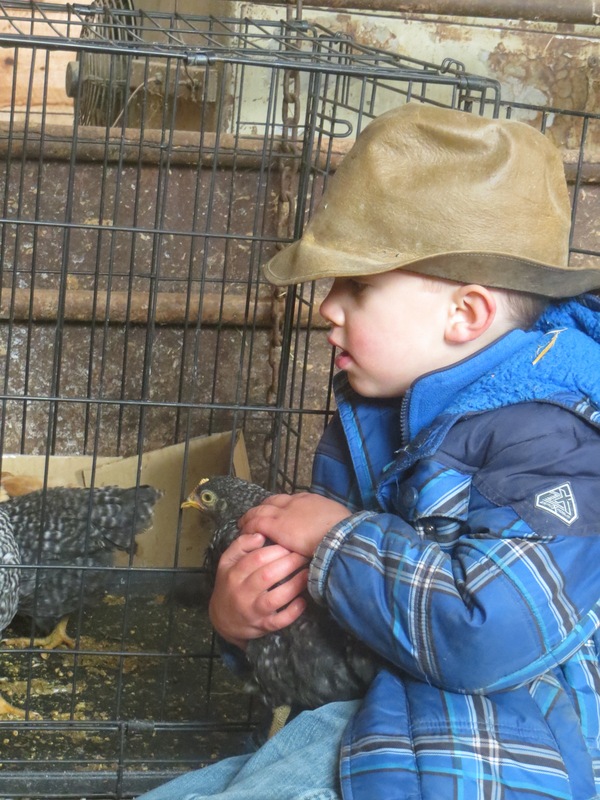 You could call Quinlan the “Chicken Whisperer” since he seem to have a rapport with them. Do you suppose he will remember all the names? I love the first picture with all the helpers, 2 and 4 legged. WOW!! They’re huge compared to the others!! !